Other than playing as a member’s guest, you can attend the Royal Trophy 2009 and play a round after the event. 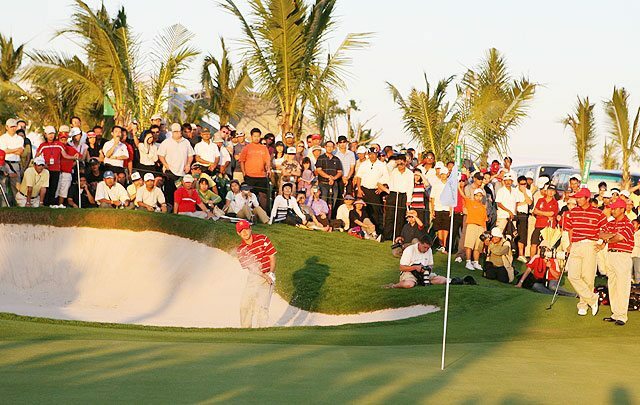 On January 12, 2009 the course and settings (including pin positions, tees locations, speed of the greens) are open for play for 40 visitors in order to give the Thailand golf holidaymakers a the ‘once in a lifetime’ experience of playing under the same conditions as a professional golf event. Details of this opportunity can be found at a number of Thailand golf tour operators, including Golfasian. Drop me a message if you are interested, it might be a fun way to spend part of your golf holiday in Thailand this winter.